This stunning designer candle holder was handcrafted in our stained glass studio formerly located in Bethlehem, Pennsylvania. 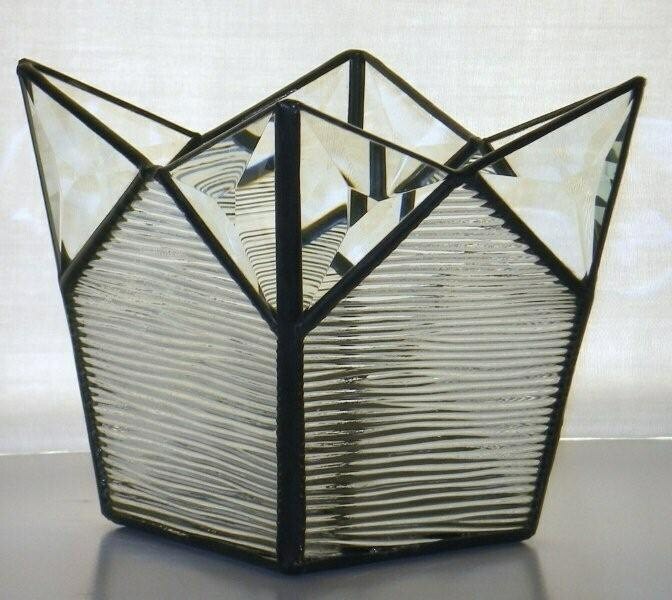 The candle holder measures 4"x4"x4" at the top with a tapered design and includes 8 bevel glass pieces. Our candle holders are inspected and hand polished before they leave our studio. Please inquire for other colors or sizes. If you have any questions regarding our stars, please drop us a line or call us at 570-366-2843.